Jessa Mae Love is done with relationships. No matter how tempting he might be, she cannot--will not--fall for a man like Lance Cortez. The outrageously handsome cowboy is practically a living legend in Colorado, as famous for riding bulls as he is for breaking hearts. 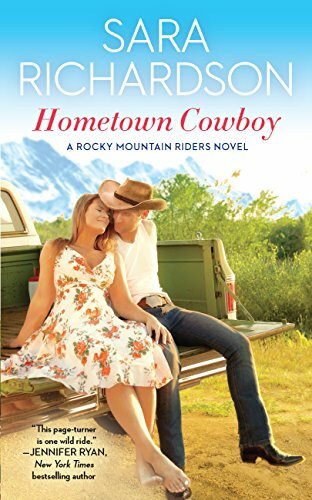 What would a big-time rodeo star like him see in a small-town veterinarian who wears glasses, rescues animals, and cries when watching rom-coms? Turns out, plenty. Raising bulls, riding the circuit, and looking after his ailing father--Lance never stands still for long. Yet Jessa catches his attention, and the more she tries to resist him, the more he wants her. When she agrees to move to the ranch to keep an eye on Lance's dad, Jessa tells him they have to keep it professional: no flirting, no sweet talk, and definitely no kissing. But with Jessa now living under his roof, that's easier said than done . . . Sadly, I was in bed with the flu for a few days, and this was just the perfect book for a time like that- when you want a cute, fluffy fun read to pass the time. Add in a hot cowboy and his brothers? I'll take it! One scene in particular is laugh out loud funny- Lance comes to Jessa's house when she is definitely NOT expecting guest, and hilarity ensues. There's undeniable chemistry between Jessa and Lance, and a great cast of supporting characters. Looks like we'll get to see Jessa's friends and Lance's brothers in future installments.